Get ready to explore the best of the Exumas as you depart Paradise Island on a 39 foot powerboat. The first stop on your journey (about an hour from Nassau) will be to Allen’s Cay where you’ll visit and feed the endangered Bahamian Rock Iguanas on a pristine beach. Next up is Compass Cay where you can swim and interact with the nurse sharks in crystal clear water. 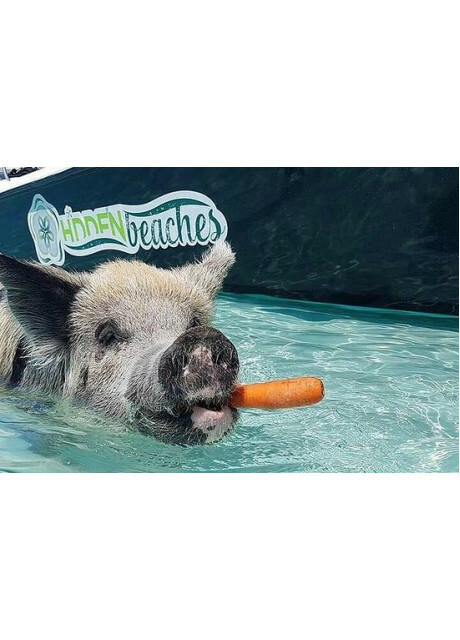 After this is the main attraction, the swimming pigs! 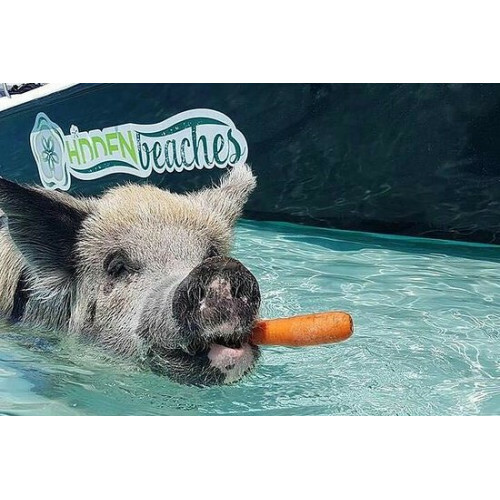 Cruise down to Big Major Cay where you’ll be able to swim alongside the always entertaining swimming pigs while feeding them and taking a few ‘selfies’! Afterwards having worked up an appetite it’s on to a nearby restaurant to enjoy a delicious lunch. Following lunch is another short ride to your final stop, one of Exuma’s beautiful hidden beaches for a relaxing end to a fantastic day.